Courage, inspiration, respect, and recovery. The 2017 Invictus Games are set to be held in Toronto this September, and will see more than 550 ill, injured, and wounded service members participate in 12 adaptive sports. While the games hope to use the power of sport to inspire, support, and rehabilitate, at Dalhousie, one individual is hoping to understand the scale of adaptive sport's impact. 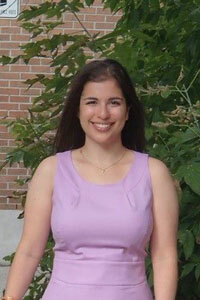 Celina Shirazipour is the Faculty of Health Professions newest post-doctoral scholar. Her latest research project explores the role of adaptive sport in the care and support of ill and injured military personnel and their families. Working alongside the faculty’s Dean, Dr. Alice Aiken, Dr. Shirazipour is investigating the psychosocial impact of adaptive sport on military personnel and veterans. Since a study such as this has never been done, Drs. Aiken and Shirazipour are hoping their research bridges a critical gap in practitioners’ understanding. “As a researcher, I find the Invictus Games to be a fascinating event and, I believe, very much a game changer in the military rehabilitation and adaptive sport landscape,” says Dr. Shirazipour. Dr. Shirazipour completed her undergraduate degree at McGill University, then went on to pursue her Master’s in Human Kinetics in Sport and Exercise Psychology at the University of Windsor. In December 2016, she completed a PhD in Health Promotion at Queen’s University. The project hopes to build a strong evidence base that not only benefits researchers, but also provides best practice information for practitioners. “Previous literature has focused on the short term benefits of adaptive sport. Benefits such as improvements to physical health and functioning, gaining a sense of confidence and identity, as well as the ability to socialise and network,” Says Dr. Shirazipour.